James Ehnes joins the London Philharmonic Orchestra on tour this week for concerts in New York and Connecticut on 15 and 16 April 2019. Ehnes performs the Sibelius Violin Concerto under the baton of his long-standing musical collaborator Edward Gardner at Lincoln Center, New York and Palace Theater, Stamford. “Ehnes brought not only striking virtuosity but also genuine expressive intensity." James Ehnes has been awarded the GRAMMY Award for the Best Classical Instrumental Solo category for his recording of Aaron Jay Kernis’ Violin Concerto. Ehnes recorded the concerto live with the Seattle Symphony Orchestra under Ludovic Morlot. The release won two GRAMMY Awards, also being recognised as Best Contemporary Classical Composition. The win is Ehnes' second GRAMMY after his recording of Barber, Walton and Korngold Violin Concertos was awarded Best Instrumental Performance in 2007. The concerto, written specially for Ehnes, was premiered in 2017 and was co-commissioned by the Toronto, Seattle, Dallas and Melbourne Symphony Orchestras. The remainder of the recording for Onyx Classics is comprised of two further works composed specially for Ehnes: James Newton Howard’s Violin Concerto (performed on the disc by Detroit Symphony Orchestra under Cristian Măcelaru) and Bramwell Tovey Stream of Limelight (performed on the disc by Ehnes with his regular duo partner Andrew Armstrong). Click here to read more about these three compositions, and click here to read our interview with Ehnes about the recording. Ahead of the 2019 Grammy Awards on 10 February, Intermusica spoke to James Ehnes about his recording of Aaron Jay Kernis’ Violin Concerto, which has earned two Grammy nominations (Best Classical Instrumental Solo Award and Best Contemporary Classical Composition). The Concerto, written specifically for Ehnes, was commissioned by the Toronto, Seattle, Dallas and Melbourne Symphony Orchestras and the recording (featuring a live performance by the Seattle Symphony Orchestra with conductor Ludovic Morlot) was released last year by Onyx Classics. Your friendship with Aaron Jay Kernis began after you asked him to write a piece for you over a decade ago. How has your friendship developed over the years and how did the Concerto come about? The Proms got in touch in 2006 and said they wanted to commission a new piece for violin and piano. When you have something like this dropped on you unexpectedly, you want to make sure it’s the right choice and I wanted to make sure that this opportunity was not wasted. I had played some of Kernis’ chamber music before but because it was such short notice – it was around 6 months before the performance date – I thought there was little chance he’d say yes. The way he responded was an interesting glimpse into his compositional process: ‘I’m glad you wrote to me because I have this violin and piano piece rattling around in my head and it needs to come out.’ One of the pieces of his that I had played before, Air, is very lyrical and beautiful and for the most part quite sparse so I guess I was expecting something like that. But instead, I got Two Movements with Bells that was significantly longer and much more complex. You never know what you’re going to get and I ended up with a major piece that I think is a really important addition to the repertoire. We didn’t actually meet in person until after the premiere but we became good friends through that process and before long we started talking about the idea of a concerto. Neither of us was sure how this was going to happen, but we thought if we talked about it enough, then it would happen! It took about 10 years but some of the orchestras that I am close with decided to take part in the commission. I think when these things happen there has to be a certain amount of serendipity. The recording happened by a stroke of luck. The Seattle Symphony Orchestra record their performances for radio broadcast and they have an excellent in-house producer and engineer. We realised they had taped the concert and it sounded pretty good! I think live recordings are at their best when they capture something of the immediacy of an occasion. There is one spot in the last movement when all hell breaks loose and I’m playing just about as many notes as I can along with a drum set (the drummer just happens to be an old friend). If we had performed it multiple times for a recording in a studio setting it would probably have been fine but I’m not sure we would have got that performance. There was a lot of conversation about whether we edit out the applause or keep it in but I’m glad we kept it in because the piece needs to be experienced live and I think we managed to capture the feeling of being part of a performance. What was the process of composing the work like? Were you involved at all? I generally try to keep out of the way with commissions. The commission itself is the vote of confidence for the composer to do what they need to do. Everyone has a different attitude towards this but I have a suspicion that the more a performer is involved, the more there is a danger of the piece getting watered down and the ideas getting somehow corrupted. From a strictly technical sense, it’s always tempting to confuse something that is inconvenient with something that is impossible. There is a lot of stuff in the Kernis that is highly inconvenient! When he was sending me drafts there were times where I thought 'this can’t be done'! But rather than writing to him about it, I decided to stick with it and try to find a solution. If you look back historically, most of the great iconic violin concertos were thought to be unplayable when they were first written just because they were different. Think of Tchaikovsky’s Violin Concerto for example. I can understand why an established violinist in his day, seeing it for the first time, would feel that it was impossible because there were things in there that hadn’t been done before. But now, the Tchaikovsky Concerto has furthered instrumental violin technique and it’s become part of our standard bag of tricks. If I can allow composers to find their own sounds, even though it might involve some inconvenient technical things, maybe it will play a part in furthering the development of violinist techniques. How does Kernis do this in his concerto? He is a tonal composer, yet his music can be highly chromatic and there is a density to his writing that requires very unusual shapes in the left hand. He also takes full advantage of the range of the instrument so I had to find solutions to new intervallic patterns and chords. And then there are passages that are just extremely fast! It has to become almost a reflex than an actual planned attack. There were some bowing issues that needed to be figured out – things that on first glance you think ‘I don’t know how I’m going to get around this’ and certain things that cannot be learned slowly because the bowing technique has to work at a particular speed. There was a lot of detail – big leaps, fingers all on top of one another – but for a good reason as he creates sounds and textures that you don’t hear otherwise. What frustrates me is new music that finds really complicated ways to say something that we have heard a million times; but if one feels that extra effort is needed to communicate something that hasn’t been said before then I think that is really worthwhile. Kernis wrote this Concerto for you – are there any moments in the work where you can see why he wrote it with you in mind? I think more importantly, the piece is really him. There were a few things, for example the piece is really hard and I thought ‘I’m really flattered, Aaron, that you think I can play this!' I was curious as to whether he would have written this for a violinist he didn’t know. I don’t think he was really aware of how difficult the piece is. He was writing a concerto after all, a display piece, so there’s a certain amount of virtuosity that is implied in the genre but I think what's more important is that he wrote a piece that is very him. There were passages where, at the start of the learning process, I wasn’t sure what I was saying. It felt like I had learnt a language where I could speak the words but didn’t know the meaning of them. I remember playing it with him on the piano and admitting this to him and he said to me: ‘You’ll get there! You’re on the right path’. Then there were moments throughout the learning process and, even through that first performance in Toronto, when all of a sudden, clouds would part and it would be like – so that’s what’s that is about! It was a little stressful to have that feeling so close to the first performance! And yet it’s so rewarding when it all comes together. You’ve performed the Concerto in the US, Berlin and Melbourne in the past couple of years; how have audiences received the piece when you’ve performed it live? It gets a strong response from the audience because it’s an event – a kind of spectacle – it’s the type of piece where people come away feeling that they really want to hear the piece again. It works on an immediate level as there are such colourful textures and sounds and virtuosity, beauty and excitement but there is quite a bit going on with form and structure that I think is rewarded by repeated listening. I think of a composer like Benjamin Britten because often when I hear a piece by him for the first time I really need to go away and think about it. It plants a seed that grows over time. and I get a lot of comments like that with the Kernis – that people like it and want to spend more time with it. Do you have anyone else in mind to write a work for you? It’s nice that through my work with the Seattle Chamber Music Society we get to commission a new work every year. We’re premiering a piano quintet by Sebastian Currier this summer which I’m excited about. There are a lot of composers around and these things can happen in unexpected ways. But before I move on to the next commission, I just want to make sure that I do everything I can to widen the reach of this piece which I feel is an important addition to the repertoire, and to which many people have dedicated a lot of time and commitment. Right now I think we’re in that fun stage with the Kernis of – what’s next?! Update: Ehnes' recording received GRAMMYs for both Best Classical Instrumental Solo Award and Best Contemporary Classical Composition at the 61st Awards. James Ehnes’ new recording of Aaron-Jay Kernis’ Violin Concerto has been recognised with two nominations at the 61st GRAMMY Awards. The recording is nominated for both the Best Classical Instrumental Solo Award and Best Contemporary Classical Composition. Ehnes has one existing GRAMMY to his name; he won the award in 2007 for Best Instrumental Performance for his recording of the Barber, Walton and Korngold Violin Concertos. “James Ehnes is one of the great violinists of the day, so it’s no wonder composers are falling over themselves to write new things for him to play… The three recordings here are top notch… the applause and cheers are proof enough of the mastery on display”. The winners will be announced at the 61st GRAMMY Awards ceremony on 10 February 2019. James Ehnes makes his debut with the Munich Philharmonic Orchestra, giving three performances of the Mendelssohn Violin Concerto on 5, 6 and 7 November 2018. The concerts take place at the Philharmonie am Gasteig under the direction of conductor Jaap van Zweden. “bringing something new to established repertoire: surely that’s the ultimate test of any artist. If so, James Ehnes has done it again”. James Ehnes embarks on a week-long recital tour of Asia from 19 October 2018, performing with his long-term duo partner, the pianist Andrew Armstrong. Together they perform four sonatas for violin and piano by Beethoven, Ravel, Brahms and Corigliano. Ehnes and Armstrong’s recent performance of this programme at the Wigmore Hall was declared “a charming and brilliant recital… with elegance and allure in abundance” (Bachtrack). Ehnes and Armstrong’s 2017 recording of Beethoven Sonatas No.6 & No. 9 for Onyx Classics received huge critical acclaim, winning the Gramophone Editor’s Choice Award (“ravishing” Gramophone) and Sunday Times Album of the Week amongst other plaudits. The duo begin the tour in Hong Kong at the Academy for Performing Arts on 19 October, before performing at Shanghai Concert Hall on 20 October and Victoria Hall in Singapore 23 October. The recital tour culminates at the Petronas Towers in Kuala Lumpur on 24 October, after which Ehnes joins the Malaysian Philharmonic Orchestra for two performances of the Berg Violin Concerto with Mark Wigglesworth. Andrew Manze conducts the Royal Liverpool Philharmonic Orchestra in his first concert with the orchestra as their Principal Guest Conductor on 27 September 2018. Manze is joined by violinist James Ehnes in a performance of the Mendelssohn Violin Concerto, which follows Vaughan Williams Serenade to Music (orchestral version). The programme also includes Vaughan Williams Symphony No.9, which completes Manze and the orchestra’s cycle of the composer’s symphonies. James Ehnes returns to Wigmore Hall on 21 September 2018 for a recital with his regular collaborator, pianist Andrew Armstrong. Together they perform a programme of violin sonatas by Schumann, Ravel and John Corigliano, as well as Brahms Sonatensatz. Ehnes last performed at Wigmore Hall in November 2017, when he performed all six of J.S. Bach's works for solo violin over consecutive nights. Ehnes and Armstrong then take their recital programme to Switzerland, performing in Nyon and Geneva on 23 and 24 September. Ehnes rounds off the month performing Mendelssohn Violin Concerto with Andrew Manze and the Royal Liverpool Philharmonic Orchestra. James Ehnes' debut at the Edinburgh International Festival at a sold-out Queen's Hall on 23 August 2018 was met with an outstanding reception. Partnering with pianist Steven Osborne, the duo gave a performance of Prokofiev, Brahms, Debussy and Ravel, demonstrating a “superb partnership” (The Herald). I can think of few more varied ways to set out his stall for the EIF, both charming and dazzling his audience, and I really hope he’s back again before long." Click here to listen to the performance on the BBC website until 22 September. James Ehnes makes his first appearance at the Edinburgh International Festival on 23 August 2018, performing in recital at the Queen’s Hall alongside pianist Steven Osborne. Ehnes and Osborne present a varied programme including violin sonatas by Brahms, Debussy and Prokofiev, and they conclude the recital with Ravel’s showpiece Tzigane. James Ehnes joins the Bergen Philharmonic and their Chief Conductor Edward Gardner for three concerts this month, beginnning with two of the orchestra's annual open air concert in Bergen's Torgallmenningen on 16 and 17 August 2018. On 16 August Ehnes is the soloist in Saraste Zigeunerweisen, and the following day he performs Brahms Violin Concerto. They then travel to Amsterdam for a concert at the Concertgebouw's Robeco SummerNights series on 19 August, when Ehnes again performs Brahms Violin Concerto. "... full of Hungarian-Romanian zest." "Fiercely good Bartók from Ehnes and Gardner." Gardner also conducted Ehnes' latest release, a recording of Walton Viola Concerto made with the BBC Symphony Orchestra, which was Album of the Week in the Sunday Times. James Ehnes' Seattle Chamber Music Festival opens on 2 July 2018 with Ehnes himself, Benjamin Beilman, Noah Bendix-Balgley and George Li appearing throughout the festival. Ehnes makes his first appearance at the festival on 9 July performing works by Dvorák and Brahms, and throughout the festival performs pieces by Chausson, Enescu and Elgar as well as the world premiere of James Newton Howard They have just arrived at this level on 16 July. He brings the festival to a close on 27 July with a performance of Bach The Musical Offering. Beilman opens the festival playing Busoni with Alessio Bax and over the festival performs works by Mozart, Schumann, Brahms. Li performs in four concerts during the festival. On 2 July he performs Stravinsky Suite italienne with Andrew Wan, and his other performances include a solo recital of Haydn and Chopin and Schumann Piano Quintet with Beilman on 5 July and Schumann Romances for Oboe and Piano with Mary Lynch the following day. Bendix-Balgley arrives at the festival on 16 July to perform Brahms Sonata for Violin and Piano with Max Levison. During the festival he also performs works by Korngold, an evening of Russian-Jewish folk music and finally Franck Quintet for Piano and Strings in F minor on 23 July. James Ehnes travels to Hong Kong and South Korea this week to perform four concerts with the Hong Kong Philharmonic and the Seoul Philharmonic Orchestra. He will perform Bernstein Serenade with the Hong Kong Philharmonic on 8 and 9 June, which will be conducted by Jaap van Zweden, the orchestra’s Music Director. Ehnes then travels to Seoul to perform the Tchaikovsky Violin Concerto with Vasily Petrenko on 14 and 15 June. The concert on 15 June will be broadcast live on KBS Radio. Ehnes’ recording of the Tchaikovsky Violin Concerto, conducted by Vladimir Ashkenazy with the Sydney Symphony Orchestra is available here. James Ehnes returns to Carnegie Hall on 30 May 2018 to make his debut with the MET Orchestra. Ehnes performs Mozart Violin Concerto No. 5, “Turkish”, conducted by Gianandrea Noseda, with whom Ehnes performed earlier this month with the National Symphony Orchestra at The Kennedy Center. Ehnes last appeared at Carnegie Hall with the Philadelphia Orchestra in 2012. James Ehnes returns to the Kennedy Center this month for three concerts with the National Symphony Orchestra and their Music Director, Gianandrea Noseda, on 17, 18 and 19 May 2018. The concerts feature a programme unified by J.S. Bach, opening with Berio's take on Bach's unfinished Contrapunctus XIX and the Bach-influenced Brahms Symphony No.4 and Berg Violin Concerto, with Ehnes as soloist. The concerts come during a month of North American concerto engagements for Ehnes. He begins May with three performances of James Newton Howard's Violin Concerto with the Florida Orchestra, then performs Brahms Violin Concerto with the Cincinatti Symphony Orchestra. Following the concerts at Kennedy Center, he joins the Toronto Symphony Orchestra for three performances of Brahms Violin Concerto and ends the month at Carnegie Hall with the MET Orchestra, playing Mozart's 'Turkish' Violin Concerto. James Ehnes returns to the Royal Festival Hall on 29 April 2018 to perform Shostakovich Violin Concerto No.1 with the Philharmonia Orchestra and Vladimir Ashkenazy. "Ehnes approached the opening movement, which Shostakovich called a nocturne, as if in a trance, with song-like phrasing and pure, noble tone... Ehnes rode the rollercoaster with endurance and elegance"
Ehnes also made a critically acclaimed recording of the concerto for Onyx Classics with the Bournemouth Symphony and Kirill Karabits. The recording was described as “one of the finest modern performances of Shostakovich’s glorious A minor Concerto [I have] ever heard” by International Record Review. James Ehnes returns to Australia this month for two weeks of concerts around the country, starting with performances of Bernstein Serenade with the Adelaide Symphony Orchestra on 6 and 7 April 2018. Ehnes then travels to Sydney for a recital at Sydney Opera House on 8 April. He performs a programme of Bach Sonatas and Partitas, which he repeats the following day at the Melbourne Recital Centre. He then joins the Melbourne Symphony Orchestra for three concerts on 13, 15 and 17 April, giving the Australian premiere of Aaron Jay Kernis Violin Concerto under the baton Muhai Tang. The concerto was composed especially for Ehnes, who gave its world premiere with the Toronto Symphony Orchestra in March 2017, and its European premiere with the Deutsches Symphonie-Orchester Berlin last month. James Ehnes joins the Leonard Slatkin and the Deutsches Symphonie-Orchester Berlin to give the German premiere of Aaron Jay Kernis Violin Concerto on 23 March 2018. Ehnes gives the premiere at Berlin's Philharmonie, with the programme completed by Dukas The Sorcerer's Apprentice and Elgar Enigma Variations. James Ehnes travels to Sweden this month for two concerts with the Gothenburg Symphony Orchestra on 21 and 23 February 2018. Conducted by Kent Nagano, Ehnes performs Beethoven Violin Concerto. Ehnes repeats the concerto the following week, this time with the Oslo Philharmonic and Juanjo Mena on 28 February and 1 March. Ehnes’ recent recording of the Beethoven Violin Concerto with the Royal Liverpool Philharmonic Orchestra and Andrew Manze on the Onyx label was received with huge critical acclaim, with his performance reviewed as “eloquent and understated”(the Guardian) and “lyrical and poetic” (Bachtrack). Following the concerts in Scandinavia, Ehnes returns to North America for concerts in Missouri and Canada. James Ehnes joins Stéphane Denève and the New York Philharmonic this month for three performances of Prokofiev Violin Concerto No.1 on 25, 26 and 27 January 2018. The concerto is part of a programme which is dedicated to the composer and features his Love for Three Oranges Suite and Selections from Romeo and Juliet. “James Ehnes’s particular combination of matchless virtuosity, sweet tone, flowing tempi and interpretative restraint suits all this music down to the ground”. James Ehnes returns to the Minnesota Orchestra this month to perform Tchaikovsky Violin Concerto in two concerts on 13 and 14 January 2018. The concerts, which are conducted by the orchestra's Music Director Osmo Vänskä, form part of the orchestra's Tchaikovsky Marathon, a month of performances of the composer's works. Ehnes is the Minnesota Orchestra's Featured Artist for this year, and the concerts mark his second visit following his "quite brilliant" (Star Tribune) performances of Anders Hillborg's new violin concerto during their season opening concerts in September 2017. Ehnes follows the concerts in Minnesota with a return to the New York Philharmonic, when he joins the orchestra to perform Prokofiev Violin Concerto No.1. 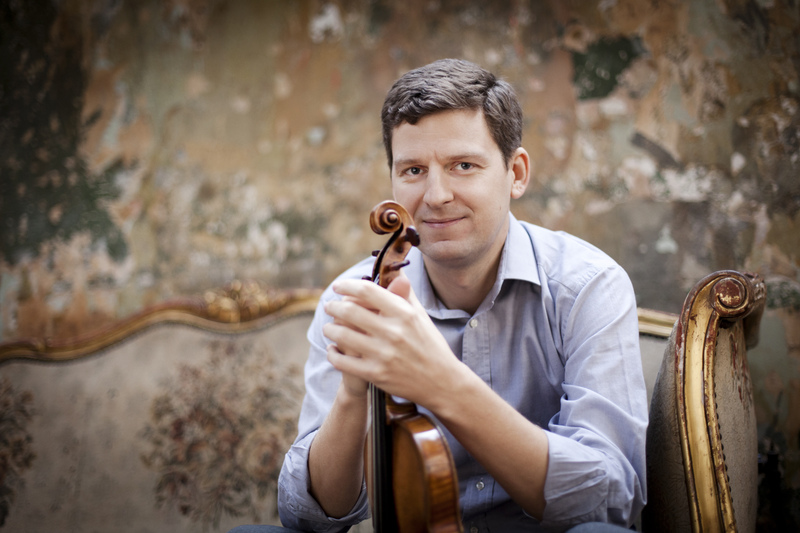 James Ehnes returns to the Wigmore Hall for two solo recitals on Saturday 18 and Sunday 19 November during which he will perform the complete solo works for violin by J. S. Bach. Ehnes will be performing Sonata No.1, Partita No.1 and Sonata No.3 on Saturday evening and Partita No.3, Sonata No.2 and Partita No.2 on Sunday evening. A pre-concert talk will be held at 18:00 ahead of Saturday’s performance, in which Ehnes will be in conversation with BBC Radio 3’s Clemency Burton Hill, discussing this seminal work and Ehnes’ engagement with it. James Ehnes returns to the Royal Albert Hall on 3 November 2017 for a special concert marking composer James Newton Howard's 30 years writing music in Hollywood. Ehnes joins the orchestra of the Royal Academy of Music for the concert, which interweaves Howard's music for films such as The Dark Knight, the Hunger Games series and rom-coms Pretty Woman and My Best Friend’s Wedding with clips and montages from the films. Howard himself conducts and also speaks about his life and career working with some of the biggest names in film. Ehnes and Howard also perform the show in Budapest and at the Amsterdam Concertgebouw on 3 and 5 November. Ehnes and Howard have a long-standing musical relationship; Howard composed his Violin Concerto especially for Ehnes, who gave the world premiere in 2015 and recently performed the concerto with the Detroit Symphony Orchestra. The concert at the Royal Albert Hall is the first of several concerts for Ehnes in the UK this month. On 9 November he performs Vaughan Williams The Lark Ascending with Andrew Manze and the Royal Liverpool Philharmonic Orchstra, after which he joins Steven Osborne, Alban Gerhardt and Jean Johnston on 14 November for a special performance of Messiaen Quartet for the End of Time at Southbank Centre's International Chamber Music Series, a co-promotion with Intermusica. He rounds off his time in the UK with a series of performances of Bach's works for solo violin at the Barber Institute of Fine Arts in Birmingham, St Giles House in Wimborne and finally at London's Wigmore Hall. James Ehnes returns to Chicago this month for three concerts with the Chicago Symphony Orchestra from 26 October 2017. Ehnes joins the orchestra and conductor James Gaffigan at Symphony Hall to perform the Barber Violin Concerto, with a second performance the following day and a third on 28 October at the Krannert Center for the Performing Arts in Urbana, Illinois. "Ehnes is my favourite violinist working today – I love the understated certainty of his playing and the totally unostentatious way he makes the violin fly – and his take on Beethoven’s concerto was typically lyrical and poetic. This finest of fiddlers can make the violin sing like few others, and you could tell from his softly-softly entry how sensitively he understood the music." "...utterly spell-binding and world class. Canadian James Ehnes is the most composed of performers and he made the technical demands of this virtuoso work look effortless... Saturday’s audience surely heard it played as brilliantly as it has ever been." "This was very much a communal effort, with Collon’s more measured than usual opening movement tempo allowing orchestral detail and interplay to flower very rewardingly, so that one caught every shimmer in the percussion and harps and each gurgle in the woodwinds." In between the two Stravinsky pieces, Ehnes joins Collon and the orchestra for Sibelius Six Humoresques for violin and orchestra. 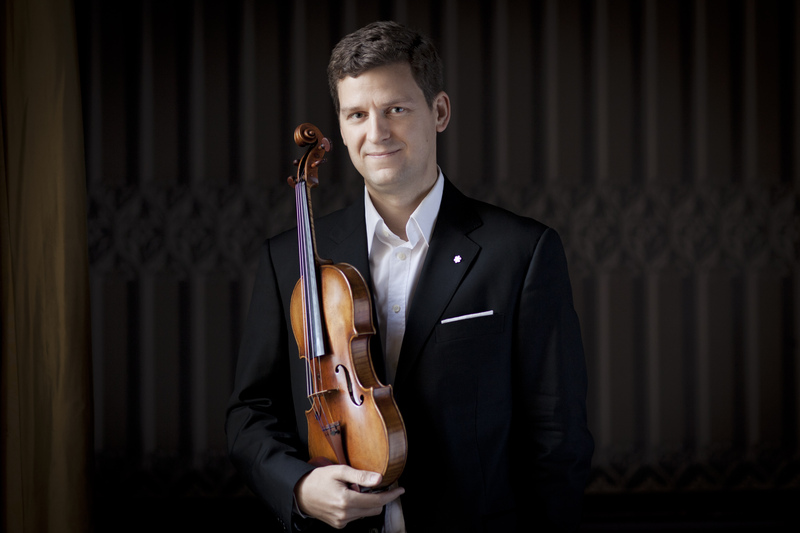 Ehnes has worked with the orchestra several times in the past, including for his album of Prokofiev's complete works for violin which was released by Chandos in 2013. Elsewhere this month, Collon returns to the Residentie Orkest for his latest concerts as their Principal Conductor. He leads two concerts in the Hague, on 27 and 29 October, conducting a programme of Liadev La lac enchanté, Kabalevsky Cello Concerto No.2 with soloist Leonard Elschenbroich and Shostakovich Symphony No.10. Ehnes meanwhile returns to the United States for three performances of the Barber Violin Concerto with the Chicago Symphony Orchestra and James Gaffigan. James Ehnes joins the Toronto Symphony Orchestra and Music Director Peter Ouindjian at Roy Thompson Hall on 19 September 2017 for the opening concert of their new season. Ehnes performs two pieces with the orchestra; Chausson Poème and Saint-Saëns Introduction and Rondo Capriccioso. Also on the programme that evening is the world premiere of Canadian composer Mychael Danna’s Suite from Life of Pi, drawn from his Academy Award–winning score to Ang Lee's film. Danna and Lee discuss their creative collaboration in a talk during the interval. The concert in Toronto follows soon after three performances with the Minnesota Orchestra, with whom Ehnes gives the US premiere of Anders Hillborg Violin Concerto No.2 on 14 September. 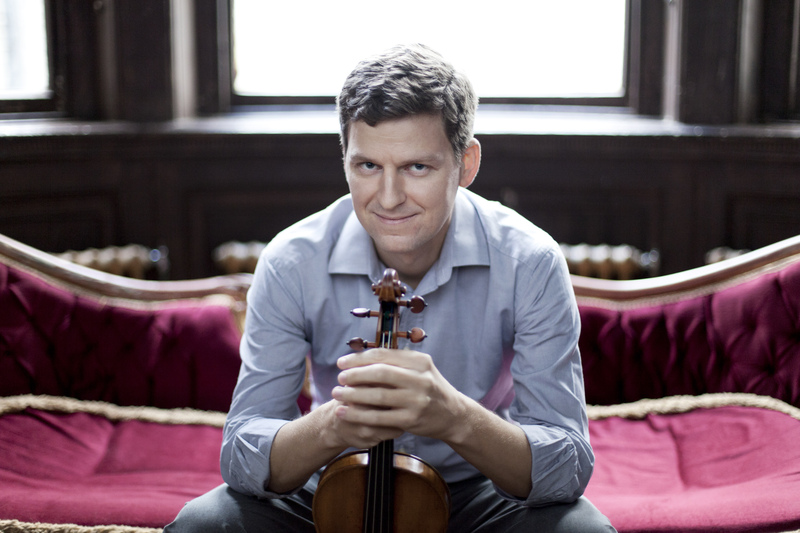 James Ehnes joins the Minnesota Orchestra on 14 September 2017 to give the US premiere of Hillborg Violin Concerto No.2. The concerto was commissioned by the Minnesota Orchestra alongside the Royal Stockholm Philharmonic Orchestra, the Gewandhausorchester Leipzig and Seoul Philharmonic Orchestra. The concert is conducted by Osmo Vänskä, the orchestra's Music Director, and there are two repeat performances on 15 and 16 September. The concert marks the first of Ehnes' three visits to the Minnesota Orchestra this season; in January he reunites with the orchestra and Vänskä to perform Tchaikovsky Violin Concerto, and he also returns in July. Ehnes follows the performances in Minnesota with a return to Toronto for the Toronto Symphony Orchestra's opening concert of the season. Ehnes performs Chausson Poème for Violin and Orchestra under the baton of the orchestra’s Music Director, Peter Oundjian, at Roy Thomson Hall. James Ehnes continues his summer of festival appearances with a return to the Grand Teton Music Festival on 10 August 2017, when he plays Bach Sonata No.1 at a chamber recital. Ehnes then joins Donald Runnicles and the Grand Teton Festival Orchestra for two performances of the Beethoven Violin Concerto at the Walk Festival Hall in Teton Village, Wyoming. Following his time in Wyoming, Ehnes travels to South Korea to make his debut with the KBS Symphony Orchestra. Ehnes joins the orchestra and their Chief Conductor, Yoel Levi, for performances of Shostakovich Violin Concerto No.1 at Seoul's Lotte Concert Hall on 24 August and Seoul Arts Center on 25 August. Boris Giltburg joins James Ehnes at the Seattle Chamber Music Society Summer Festival at Benaroya Hall on 26 July 2017 to perform Saint-Saëns Sonata No. 1 in D minor, one of Giltburg's four concerts across the festival. Giltburg also gives a solo performance of Brahms 7 Fantasien, Op. 116, on 28 July, a trio concert with Ricardo Morales & Bion Tsang, and a recital on 24 July with cellist Edward Arron. Giltburg returns to the United States several times next season, with debuts at Utah Symphony under Music Director Thierry Fischer, Pacific Symphony with Ben Gernon, and NAC Orchestra under Alexander Shelley. James Ehnes returns to the Bravo! Vail festival this week, performing Tchaikovsky Violin Concerto with the Philadelphia Orchestra on 7 July 2017. Ehnes joins the orchestra and Principal Guest Conductor Stéphane Denève for the concert at Vail's Gerald R. Ford Amphitheater. The performance at Bravo! Vail is just one of Ehnes' many North American festival appearances this summer. The following week, he travels to the Domaine Forget International Festival to perform Bach Violin Concerto No.1 in A minor and Concerto in D minor on 15 July with the Orchestre de la Francophonie, conducted by Jean-Phillipe Tremblay. Next, he travels to Toronto for a residency at Toronto Summer Music: he gives a masterclass on 16 July before giving a recital of works by Bach, Ysaÿe and Cabena on 17 July at Koerner Hall, followed by two concerts on 19 July – a children's concert in the morning, and Bach concerti in the evening with the Toronto Summer Music Festival Orchestra. In between his Toronto appearances, Ehnes also visits the Stratford Summer Music festival on 18 July, giving a recital featuring Carmen Braden Magnetic North, a piece written especially for him as part of his 2016 Ehnes@40 tour. He also performs regularly throughout the month with the Seattle Chamber Music Society, of which he has been Artistic Director since 2011, as part of their Summer Festival. James Ehnes returns to the Detroit Symphony Orchestra on 26 May 2017 to perform James Newton Howard Violin Concerto at Orchestra Hall, the first performance of the work in the city. Performing under the baton of Cristian Măcelaru, Ehnes repeats the concerto on 27 and 28 May. Newton Howard composed his Violin Concerto especially for Ehnes, who gave the world premiere performance with the Pacific Symphony in March 2015. James Ehnes was announced last night as the winner of the Instrumentalist category in the 2017 Royal Philharmonic Society Music Awards. The RPS Music Awards are the highest recognition for live classical music-making in the United Kingdom, awarded annually based on performances from the previous calendar year. The other nominees for the award this year were Alisa Weilerstein and Pierre-Laurent Aimard. Previous winners include Daniil Trifonov, Mitsuko Uchida, Itzhak Perlman and Janine Jansen. “I’m tremendously excited and grateful to accept the Instrumentalist Award and send my warmest thanks to the Royal Philharmonic Society and BBC Radio 3. As we celebrate live music, I’d also like to thank all of you who do so much to bring live music all across your beautiful country. As a frequent visitor, I’ve had so many special experiences performing not just in your big cities but also in your smaller centres and as someone from a smaller city myself, I can personally attest to how important that is to bring music to everyone”. Click here to watch a short performance and hear his full acceptance speech. James Ehnes joins the BBC National Orchestra of Wales in Paris for a performance at the recently-opened La Seine Musicale on 19 May 2017. Under the baton of Thomas Søndergård, the orchestra’s Principal Conductor, Ehnes performs Shostakovich Violin Concerto No.1. James Ehnes joins the National Arts Centre Ottawa Orchestra this week for a five-concert tour of the east coast of his native Canada, starting in St John's on 27 April. Conducted by Alexander Shelley, Ehnes performs the Korngold Violin Concerto at Charlottetown on 1 May and Saint John on 4 May, and the Sibelius Violin Concerto on 3 May in Eskasoni and 6 May in Halifax. In addition to the performances, the tour includes audience development work with music students in Bay Roberts, Moncton and Eskasoni, as well as masterclasses with violin students in St John’s and Halifax. James Ehnes has been shortlisted for the 2017 RPS Music Awards, in the Instrumentalist category, it was announced on 4 April 2017. The RPS Music Awards are the highest recognition for live classical music-making in the United Kingdom in the previous calendar year. The winners will be announced at a special awards ceremony in May 2017. Ehnes' UK highlights in 2016 included performances with the London Symphony, Hallé, City of Birmingham Symphony and BBC Philharmonic orchestras, a residency at the Royal Liverpool Philharmonic Orchestra, a recital at Wigmore Hall and a recital tour with his string quartet, the Ehnes Quartet. Wider orchestral highlights of the year included a tour of China with the CBSO and performances with the New York Philharmonic and Philadelphia orchestras. Recital highlights included his year-long, cross-Canada ‘Ehnes@40’ tour and a cycle of solo Bach pieces at the Concertgebouw. James Ehnes began the month with the world premiere of a concerto written especially for him by American composer Aaron Jay Kernis with the Toronto Symphony Orchestra on 8 March 2017. The performance, conducted by Peter Oundjian, was followed by the US premiere the next week, this time with the Seattle Symphony and conductor Ludovic Morlot. The next US performances of the Kernis Violin Concerto take place on 6, 7 and 8 April with the Dallas Symphony Orchestra and Gustavo Gimeno. James Ehnes finishes March with two performances of Barber Violin Concerto, first with the Iceland Symphony Orchestra on 30 March 2017. Ehnes joins the orchestra and conductor Yan Pascal Tortelier at Harpa Reykjavík Concert Hall, where he last performed with the Toronto Symphony in 2014. Ehnes then travels to the UK for a second performance of the concerto, this time with the BBC Philharmonic at Manchester's Bridgewater Hall on 1 April. The concert in Iceland rounds off a busy month for Ehnes, following concerts with the Leipzig Gewandhaus Orchester as well as the world premiere of a new violin concerto by Aaron Jay Kernis with the Toronto Symphony Orchestra. James Ehnes joins the Toronto Symphony Orchestra and Peter Oundjian at Roy Thomson Hall on 8 March 2017 to give the world premiere of Aaron Jay Kernis Violin Concerto, which was written especially for him. The concert is part of the orchestra's New Creations Festival. Ehnes also gives the US premiere of the new concerto with the Seattle Symphony at Benaroya Hall on 16 March. He gives two further performances of the new concerto, which was composed especially for him by Kernis, on 17 and 18 March, and also gives a recital with Kernis and musicians from the orchestra immediately after the final performance. Intermusica is delighted to bring the City of Birmingham Symphony Orchestra to China for its inaugural tour of the country, which kicks off at Guangzhou Opera House on 30 December 2016. The orchestra, conducted by Vassily Sinaisky, makes its debut in four cities: Guangzhou, Changsha, Shanghai and Beijing. Also making his Chinese debut is James Ehnes, who performs Tchaikovsky Violin Concerto alternating with Sarasate Carmen Fantasy and Zigeunerweisen. The two tour programmes also include Tchaikovsky Sleeping Beauty Suite, Elgar Enigma Variations and Dvořák Symphony No.9 'From the New World'. James Ehnes returns to London this month for a concert with the London Symphony Orchestra at the Barbican Centre on 14 December 2016. Under the baton of Fabien Gabel, he will perform Shostakovich Violin Concerto No.1 in A minor. "It was easy to understand why the audience, orchestra and Deneve himself applauded his Shostakovich so heartily: You won't hear this music played more skillfully than here." James Ehnes' Ehnes Quartet returns to the UK in November for two concerts in St George’s Hall, Liverpool and LSO St Luke’s in London on 23 and 24 November 2016. The concerts are followed by a performance at the Sociedad Filarmónica de Bilbao on 25 November, and are preceded by a performance in Los Angeles on 19 November. For the concerts, the quartet performs a programme Mozart String Quartet No.22 in B-flat major, Bartók String Quartet No. 4, Dvorák Selections from Cypresses and Tchaikovsky String Quartet No. 1 in D major. James Ehnes returns to the Hallé Orchestra this month, giving concerts at Manchester’s Bridgewater Hall on 10 November and The Forum in Bath on 12 November 2016. On both occasions, he performs Bruch Violin Concerto No.2, under the baton of Sir Mark Elder. James Ehnes returns to the Cleveland Orchestra this month in three concerts on 27, 28 and 29 October 2016 at Severance Hall. Under conductor Stéphane Denève, he performs Prokofiev Violin Concerto No. 1. Prior to this, he returns to the Orchestre Symphonique de Montréal to perform Dvorák Violin Concerto in A minor on 13 and 14 October with conductor Juraj Valčuha. October also sees the continuation of Ehnes’ cross-Canada James Ehnes@40 tour with regular collaborator Andrew Armstrong, featuring performances in Montreal, Kingston, Quebec, Burlington, Victoria, Whitehorse, Thunder Bay, Sackville, Halifax, Charlottetown, before finishing in St. John’s, Newfoundland. James Ehnes returns to the Concertgebouw this month to perform the complete solo Bach violin works over two evenings, on 6 and 7 October 2016. In the first concert on 6 October, Ehnes performs Sonata No.1, Partita No.3 and Sonata No.3, and the next evening, he performs Partita No.3, Sonata No.2 and Partita No.2. The performance on 6 October will be broadcast live on Radio Omroep Max - click here to listen from 8.15pm (GMT +1). at 20:15 Dutch time. James Ehnes begins a week-long residency with the Royal Liverpool Philharmonic Orchestra starting with a recital of solo Bach sonatas and partitas at St. George’s Hall on 27 September 2016. He goes on to perform Beethoven Violin Concerto with the orchestra and Andrew Manze at Liverpool's Philharmonic Hall on 30 September and at Preston Guildhall on 2 October. Ehnes ends his residency with a second solo Bach recital at St. George’s Hall on 4 October. In the preceding week, Ehnes returns to the NDR Radiophilharmonie for three concerts, also performing Beethoven Violin Concerto. These concerts, also conducted by Andrew Manze, the orchestra’s Principal Conductor, also include Beethoven Coriolan Overture and Symphony No.8 in F major. James Ehnes begins the second leg of his James Ehnes@40 cross-Canada tour on 14 September 2016 with a recital in Edmonton. After this, the tour continues across Canada, with performances in each of the country’s provinces and territories. Following Edmonton, the tour contines to Banff, Montreal, Kingston, Quebec, Burlington, Victoria, Whitehorse, Thunder Bay, Sackville, Halifax, Charlottetown and St. John’s. Ehnes is joined on the tour by his long-standing musical collaborator, pianist Andrew Armstrong, with whom he has performed in recital across the world and recorded numerous award-winning CDs, most recently a selection of works by Elgar, Debussy, Respighi and Sibelius. “I was delighted to celebrate our musical partnership in this way - we go back over a quarter of a century and first met in Winnipeg when James was only 13. I was delighted to conduct his first European performance with the Royal Scottish National Orchestra and of course, to win the GRAMMY for Best Instrumentalist with Orchestra with James and the VSO in 2008. For the recital tour, without giving too much away, I have the chance to test that formidable technique and the way in which it is allied to an unerring musicality. It is my wish that Stream of Limelight will give James the opportunity to display those extraordinary gifts that bring so many people closer to the music when he performs." The latest news about the tour can be found by following Ehnes on Twitter, and by following the hashtag #Ehnes40. CBC Music will also provide coverage of the tour online and on radio. Leonidas Kavakos, Daniil Trifonov, James Ehnes & George Li all perform at Montreux’s Septembre Musical in September. Both Kavakos and Trifonov join the Royal Philharmonic Orchestra and Artistic Director and Principal Conductor Charles Dutoit. Kavakos plays the Brahms Violin Concerto on 27 August, and Trifonov is soloist for Rachmaninov’s Piano Concerto No.2 the following evening, 28 August. James Ehnes and George Li perform solo recitals. Ehnes performs Bach’s solo Sonatas and Partitas over two concerts on 29 August – his third and fourth performances of solo Bach in two days, after performing the programme at the Stresa Festival the day before. On 1 September, George Li performs a programme of Haydn, Chopin, Rachmaninov and Liszt. The recital follows soon after his “sensational” (Herald) Edinburgh International Festival debut. Septembre Musical takes place annually in Montreux and Vevey in Switzerland, featuring international orchestras and chamber music. It works in collaboration with the Verbier Festival Academy to highlight the next generation of artists. James Ehnes gives four recitals of solo Bach in two days this month, performing two at the Stresa Festival on 28 August and two at the Montreux Classical Music Festival on 29 August 2016. In the first of each of these recitals, Ehnes performs Bach Sonata No.1 in G minor, Partita No.1 in B minor and Sonata No.3 in C major. In the latter of the two recitals, he performs Partita No.3 in E major, Sonata No.2 in A minor and Partita No.2 in D minor. "His encore was the presto of Bach’s G minor solo sonata: fast, feather-light and muscular all at once." Carlos Miguel Prieto, Musical Director of the Orquesta Sinfonica de Minería, is joined by James Ehnes in Mexico City for two concerts with the orchestra on 20 and 21 August 2016. Appearing at the Sala Nezahualcóyotl, Prieto conducts Ehnes in a performance of Barber Violin Concerto, part of a programme that also includes Adam Schoenberg Stars and Bartók Concerto for Orchestra. Prieto has just finished a tour of Europe with the Youth Orchestra of the Americas, and he returns to Europe in September to conduct the Residentie Orkest in Utrecht and the Hague with violinist Simone Lamsma. Ehnes travels to Mexico on the back of two weeks with the Melbourne Symphony Orchestra, where he performed Strauss Violin Concerto in D minor with Sir Andrew Davis and also play-directed a programme of Elgar, Bach, Puccini and Dvorák. James Ehnes, fresh from completing the initial leg of his ‘Ehnes@40’ cross-Canada recital tour, returns to Toronto this month to perform with the Toronto Symphony Orchestra on 9 June 2016. Under the baton of the orchestra’s Music Director, Peter Oundjian, Ehnes performs Elgar Violin Concerto in B minor in three concerts at Roy Thomson Hall on 9, 10 and 11 June. The following week, Ehnes performs at the Mainly Mozart Festival with the festival orchestra, conducted by Michael Francis. In a concert on 15 June at San Diego’s Balboa Theatre, Ehnes performs Mozart Violin Concerto No.1 in B flat major. James Ehnes returns to perform with the Philadelphia Orchestra under the baton of Stéphane Denève on 5 May for three concerts, following his performances with them earlier in the season in Florida. Ehnes will perform John Williams Violin Concerto in three concerts on 5, 6, and 7 May at Philadelphia’s Kimmel Center for the Perfoming Arts. The James Ehnes@40 tour, a recital tour visiting the length and breadth of Ehnes’ native Canada, begins this month with a launch event on 27 April 2016 at Ottawa’s Rideau Hall, followed by the first concert the next day. The tour, which takes in each of the country’s provinces and territories, continues throughout May with performances in Vancouver, Kelowna, Calgary, Regina, Ehnes’ hometown Brandon, Winnipeg, Yellowknife, Iqaluit, London, Halifax, Toronto and Niagara-on-the-Lake. The tour recommences in the autumn, with recitals in Edmonton, Montreal, Kingston, Quebec, Burlington, Victoria, Whitehorse, Thunder Bay, Sackville, Halifax, Charlottetown and Newfoundland. James Ehnes is joined on the tour by his long-standing musical collaborator, pianist Andrew Armstrong, with whom he has performed in recital across the world and recorded numerous award-winning CDs, most recently a selection of works by Elgar, Debussy, Respighi and Sibelius. Production company Collective Mind Entertainment will be following James throughout the tour, producing an in-depth documentary which will be broadcast in the autumn of this year. Ehnes and Armstrong have also recorded a CD of the tour programme, to be produced by ONYX Classics. The CD, initially only exclusively available to the audiences of the tour recitals, is scheduled for international release in early 2017. The latest news about the tour can be found by following Ehnes on Twitter, and by following the hashtag #Ehnes40. CBC Music will also provide coverage of the tour online and on radio, including a live broadcast of the first concert in Ottawa. James Ehnes travels to Denmark this month to perform Shostakovich Violin Concerto No.1 at Copenhagen’s Koncerthuset with the Danish National Symphony Orchestra on 21 April 2016. "A staggeringly powerful performance of Shostakovich's First Violin Concerto... It was Ehnes's soulful, impeccable, engulfing Shostakovich that made this concert unforgettable. His control and range of colour were masterful." Ehnes then returns to his native Canada to begin his James Ehnes@40 recital tour with his long-time collaborator Andrew Armstrong. James Ehnes joins Leif Ove Andsnes (piano), Tabea Zimmerman (viola) and Clemens Hagen (cello) to perform Brahms Piano Quartets Nos 1, 2 and 3, stepping in for indisposed violinist Christian Tetzlaff. The quartet perform in Memorial Hall, Chapel Hill on Thursday 7 April, followed by Carnegie Hall on Saturday 9 April and Chicago Symphony Center on Sunday 10 April. James Ehnes returns to the Pittsburgh Symphony Orchestra under conductor Osmo Vänskä this month, joining the orchestra for two concerts at Pittsburgh’s Heinz Hall on 11 and 13 March 2016. Ehnes performs Sibelius Violin Concerto in D minor. The first concert on 11 March will be broadcast live on Pittsburgh’s classical music station, WQED. "A revelation. With unobtrusive brilliance and flawless technique he traced the composition even in such passages where other colleagues leave it as a mere atmospheric depiction…"
James Ehnes tours Florida with the Philadelphia Orchestra this month, performing the Sibelius Violin Concerto at the Kravitz Center in West Palm Beach on 23 February, followed by the Beethoven Violin Concerto at the Ocean Reef Cultural Center in Key Largo on 26 February 2016. Both concerts are conducted by Stéphane Denève. Ehnes travels to Australia earlier in the month, performing Beethoven Violin Concerto with the Adelaide Symphony Orchestra and conductor Nicholas Carter at Adelaide Festival Centre on 13 February and also with Vladimir Ashkenazy and the Sydney Symphony Orchestra on 17, 18 and 19 February at the Sydney Opera House. 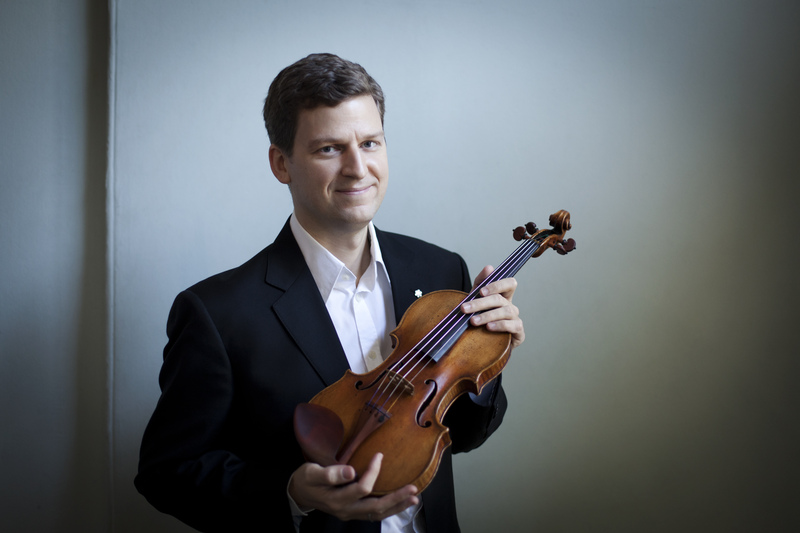 In celebration of his 40th birthday on 27 January 2016, James Ehnes has announced James Ehnes@40, a recital tour visiting the length and breadth of his native Canada including concerts in each of the country’s provinces and territories. “As the milestone of my 40th birthday approached, it struck me that I could give myself and my family no better gift than the opportunity to explore this great nation from West to East, North to South. On the tour I will visit every Province and Territory, reconnecting with the many Canadians who have supported me throughout my career and meeting new friends along the way." Beginning the tour in Canada’s capital city of Ottawa on 28 April 2016, Ehnes and his long-standing musical collaborator Andrew Armstrong visit Vancouver, Kelowna, Calgary, Regina, James’s hometown Brandon, Winnipeg, Yellowknife, Iqaluit, London, Halifax, Toronto and Niagara-on-the-Lake. The tour recommences in the autumn with performances in Edmonton, Montreal, Kingston, Quebec City, Victoria, Whitehorse, Sackville, Halifax, Charlottetown, and St. John’s, Newfoundland. The programme for the tour includes Handel Sonata in D major, Beethoven Sonata in F major, Op. 24 "Spring", and a selection of virtuoso pieces to be announced from the stage. In addition to this, Ehnes will premiere a work written for him especially for this tour by composer Bramwell Tovey. Production company Collective Mind Entertainment will be following James throughout the tour, producing an in-depth documentary which will be broadcast in the autumn of this year. James and Andrew will also record a CD of the tour programme, to be produced by ONYX Classics, scheduled for international release in early 2017. The latest news about the tour can be found by following Ehnes on Twitter, and by following the hashtag #Ehnes40. CBC Music will also provide coverage of the tour online and on radio; they joined his birthday celebrations with a retrospective photo gallery. Click here for more details. James Ehnes returns to the New York Philharmonic for a series of four concerts at David Geffen Hall from 27 January 2016, performing Beethoven Violin Concerto with conductor Juanjo Mena. The programme is completed with a performance of Bruckner Symphony No.6. Earlier in the month, Ehnes returns to the Orchestra Philharmonique de Strasbourg to perform Walton Violin Concerto in two concerts conducted by Carlos Miguel Prieto on 7 and 9 January. He then joins Andrew Armstrong to give a recital at Wigmore Hall in London on 10 January. This recital is the second and last in Ehnes’s series of all-Bartók recitals at the Wigmore Hall, during which he performs a programme including Bartók Rhapsody no.2, Bartók Violin Solo Sonata, Bartók Sonatina for Violin and Piano, and Bartók Violin Sonata no.1. 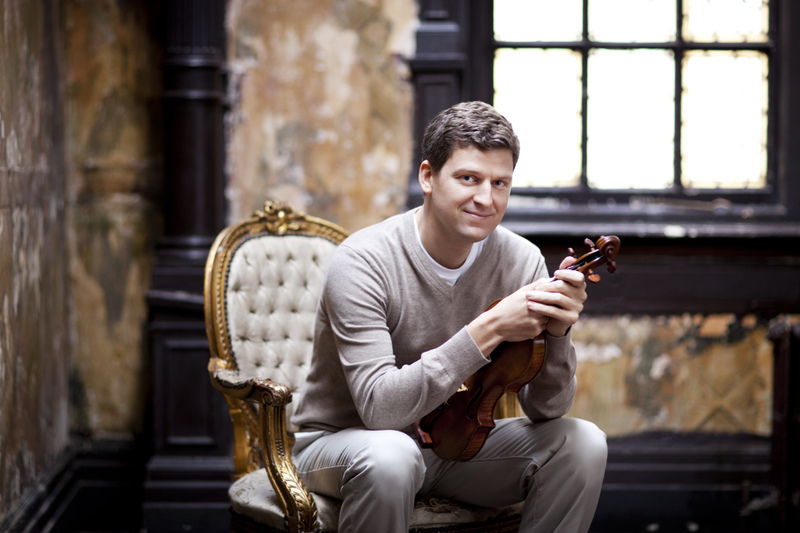 James Ehnes returns to the Philharmonia Orchestra on 10 December 2015 at the Royal Festival Hall, London. Ehnes plays Lalo Symphonie espagnole, in a programme of Berlioz Suite from L’enfance du Christ, Lalo Namouna Suite No.2 and Tchaikovsky Swan Lake Suite. Ehnes previously played with the Philharmonia on his recording of the Mendelssohn violin concerto, which was praised for its "compelling, beautifully observed phrasing" by Classical Source. James Ehnes travels to the United States on 12 November 2015 to make his debut with the National Symphony Orchestra in Washington DC under the baton of Gianandrea Noseda. Ehnes performs Prokofiev Violin Concerto No.2 in three concerts at the Kennedy Center on 12, 13 and 14 November. Ehnes and Noseda have previously collaborated on their critically acclaimed recording of Prokofiev's violin concertos with the BBC Philharmonic, released on Chandos in 2013. "This is not quite the first set by a single soloist of Prokofiev’s violin works… but it is certainly the most enticing... A real winner." Earlier in the month, Ehnes performs at the Großes Festspielhaus in Salzburg on 8 November, playing the Sibelius Violin Concerto with the Mozarteum Orchestra and conductor Constantin Trinks. "Technical mastery of a very difficult score, total conviction and narrative strength stand out here…"
"James Ehnes’s sinewy tonal lustre, dazzling technique and Perlman-like ability to soar whenever a decent melody comes along, works wonders in the Britten... by revelling in the music’s virtuoso élan, Ehnes proves beyond a doubt that the Violin Concerto deserves an honoured place alongside those by Elgar and Walton"
The concert will be broadcast live on France Musique. Following their successful debut tour to Europe in February 2014, the Ehnes Quartet returns to Europe for several performances in autumn 2015. The quartet performs at venues including the Wigmore Hall (26 September), the Conservatoire de Musique in Geneva (2 November), Théâtre du Jeu de Paume in Aix-en-Provence (3 November) and the Auditorium du Louvre in Paris (4 November). The concerts feature a programme of Beethoven String Quartet No. 11 in F minor ‘Serioso’, Sibelius String Quartet in D minor ‘Voces intimae’ and Schubert String Quartet No. 14 in D minor ‘Der Tod und das Mädchen’. James Ehnes joins the BBC Scottish Symphony Orchestra for the opening concerts of Principal Conductor Donald Runnicle’s final season on 24, 25 and 27 September 2015. Ehnes plays Glazunov’s Violin Concerto in A minor in three concerts; at Glasgow City Halls (24 September), Aberdeen Music Hall (25 September) and Edinburgh’s Usher Hall (27 September). Mahler’s Symphony No.10 completes the programme after the interval. James Ehnes returns to the Wigmore Hall on 18 September 2015 with pianist Andrew Armstrong, a long-standing musical collaborator. The duo perform a programme made up entirely of repertoire by Bartók: the first half of the concert includes Rhapsody No.1 and the Violin Sonata in E minor, and the second half features Bartók’s Hungarian Folksong and Violin Sonata No.2. Having represented James Ehnes in Europe for 15 years, Intermusica is delighted to announce that he now joins the company for worldwide management. This news comes after a season of performances including with the London Symphony, Vienna Symphony, DSO Berlin, Boston Symphony and NHK Symphony Orchestras, as well sitting on the jury of the International Tchaikovsky Competition and giving a recitals at the White Nights Festival in St Petersburg, London’s Wigmore Hall and the Lincoln Center New York. James Ehnes returns to the London Symphony Orchestra on 7 June 2015 to perform Korngold Violin Concerto with Marin Alsop, who will return to London in September to conduct the Last Night of the Proms. Ehnes’ 2006 recording of the Korngold with the Vancouver Symphony Orchestra earned him a 2008 Grammy Award for ‘Best Instrumental Soloist Performance’. The concert is part of the orchestra’s International Violin Festival, and also features works by Bartók and Rachmaninoff either side of the concerto. Ehnes performs again in London the following week, this time in recital with pianist Steven Osborne at LSO St Luke’s on 11 June. The duo will perform Beethoven Sonata for Violin and Piano No.10 in G major and Brahms Violin Sonata No.3 in D minor, and the performance will be recorded for future broadcast on BBC Radio 3. Following these performances Ehnes will travel to Moscow where he will sit on the violin jury for the XV International Tchaikovsky Competition alongside fellow Intermusica artist Leonidas Kavakos, who opened the LSO International Violin Festival in April. James Ehnes returns to Europe this month for three return engagements, beginning on 9 April when he returns to the Oslo Philharmonic Orchestra to perform Nielsen Violin Concerto under the baton of Vasily Petrenko at the Oslo Konserthus. The following week, Ehnes will give two performances on 16 and 17 April at the Alte Oper with the Frankfurt Radio Symphony Orchestra, performing Sibelius Violin Concerto with Andrés Orozco-Estrada. His final week of this European tour will include three performances with the Royal Scottish National Orchestra; Ehnes will perform Nielsen Violin Concerto with Thomas Søndergård at the Caird Hall Dundee (23 April), Usher Hall Edinburgh (24 April) and Glasgow City Halls (25 April). This month James Ehnes returns to the Vienna Symphony Orchestra for two concerts on 26 and 27 February at the Vienna Konzerthaus. Ehnes will perform Britten Violin Concerto and will be conducted by Sir Mark Elder. James Ehnes joins the Deutsches Symphonie-Orchester Berlin this year for the orchestra’s New Year’s Eve celebrations on 31 December and 1 January. Performing at the Berlin Tempodrom under the baton of Thomas Søndergård and with members of Circus Roncalli, Ehnes will perform Sarasate Zigeunerweisen, Massenet Thaïs: Méditation and Kreisler Caprice Viennois. A last-minute step-in yesterday saw James Ehnes perform two different concertos on the same day in concerts with the City of Birmingham Symphony Orchestra and the Royal Liverpool Philharmonic Orchestra. Just before he went on stage to perform Walton’s Violin Concerto at an afternoon concert on 10 December with the CBSO and conductor Andrew Litton, Ehnes was asked if he’d be willing to consider going straight on to Liverpool to perform Brahms’ Violin Concerto with the CBSO and Andrew Manze at an evening concert which would be broadcast live on BBC Radio 3, stepping in for Vilde Frang. There was no time for rehearsal so James Ehnes, Andrew Manze and the RLPO had to go straight into a live broadcast. Ehnes’s performance of the Walton Violin Concerto with the CBSO was also described as “wonderfully poignant, soul-searching” and given five stars by the Birmingham Post. “James Ehnes’s recorded legacy so far testifies to a remarkable, penetrating and communicative talent. To find out more details about the recording and to listen to audio samples, visit the Onyx Classics website. Marin Alsop returns to the Wiener Konzerthaus for her debut with the ORF Radio-Symphonieorchester Wien on 4 April. Alsop’s programme pays tribute to her teacher and mentor, Leonard Bernstein, and his own hero, Gustav Mahler, as well as the Viennese connections of these two conductor-composers; both Bernstein and Mahler feature on plaques outside the Konzerthaus. The first half is Bernstein’s Symphony No.1 ‘Jeremiah’ with soloist Elizabeth DeShong, and Marin Alsop conducts Mahler’s Symphony No.1 ‘Titan’ in the second half. The concert is broadcast live on ORF Ö1 radio at 5.30pm GMT. Alsop returns to Vienna after bringing her São Paulo Symphony Orchestra on tour to the Wiener Konzerthaus earlier this season (October 2013); she made her Viennese debut there with the Vienna Symphony Orchestra the previous year. Marin Alsop also returns to the Czech Philharmonic for concerts at the Rudolfinum, Prague, on 16, 17 and 18 April. Here she conducts Stravinsky’s The Firebird 1919 Suite, alongside the Barber Violin Concerto with soloist James Ehnes. The second half is Copland’s Third Symphony. This month sees the Ehnes Quartet, established by James Ehnes in 2010, embark upon their first European tour, beginning in Birmingham on 5 February and taking in performances at the Wigmore Hall, London, and the Auditorium du Louvre, Paris. Hailed as “an important new force in the chamber music arena” with a “dream-team line-up” (Strings), the quartet will give performances at the Barber Institute, Birmingham (5 February), St John the Evangelist in Oxford (6 February), Concertzaal Tilburg (8 February), at London’s Wigmore Hall (10 February) and at the Auditorium du Louvre, Paris (13 February). The programme for these concerts will include Mendelssohn String Quartet No.1 in E flat major, Bartók String Quartet No.3, Suk Meditation on the Old Czech Hymn St Wenceslas and Ravel String Quartet in F.
This month, James Ehnes returns to the Philharmonia Orchestra for concerts at the Royal Festival Hall, London (13 June), Symphony Hall, Birmingham (15 June) and the Bedford Corn Exchange (16 June). Under the baton of Vladimir Ashkenazy, Ehnes will perform Elgar's Violin Concerto, his recording of which won the Gramophone Concerto Award in 2008. On 14 June, Ehnes gives a recital at the Sheldonian Theatre in Oxford to mark the opening of the Ashmolean Museum's exhibition of the world's finest Stradivarius instruments. Ehnes will perform unaccompanied music by Bach, Paganini and Prokofiev and will also discuss his thoughts on what makes the instruments and their sounds unique. The exhibition will also feature videos of Ehnes performing on and illustrating the differences between some of the exhibit's instruments.